A former British Army soldier with links to Fiji who claimed he was ordered to dress up as a Taliban insurgent for an army training video because of the colour of his skin has won a record payout for racial discrimination of $1.34 million. 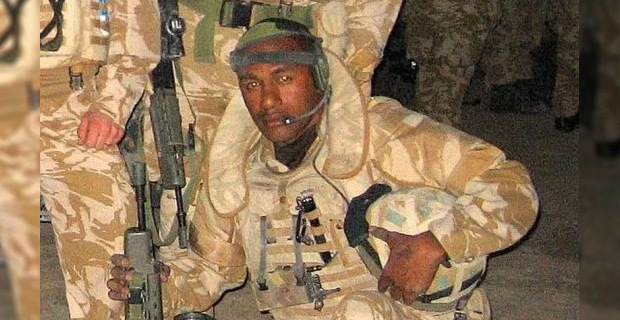 Fijian Lance Corporal Inoke Momonakaya, who served in Iraq and Afghanistan received compensation from the UK Ministry of Defence after a six year legal battle. Metro News reports that Momonakaya who is 40 said he was left suicidal after suffering ‘a campaign of racist abuse’ from fellow soldiers. While serving with the 2nd Battalion, Duke of Lancaster’s Regiment in 2011, he and five fellow Fijian soldiers were cast as Taliban fighters for a training video because they were black. White soldiers were used to play British roles in the film, which was to teach troops how to spot clues that roadside bombs had been planted. The former soldier was medically discharged from the army in 2012 after he was diagnosed with post‑traumatic stress disorder.